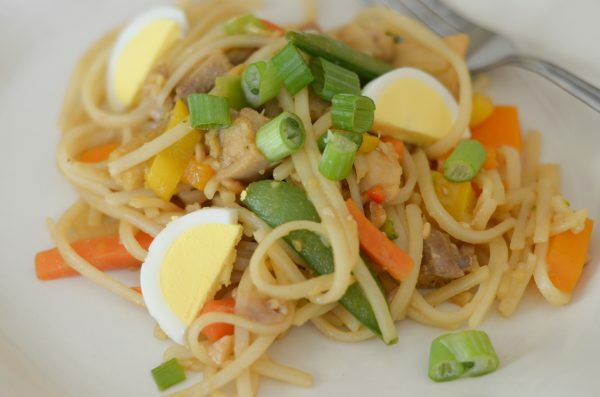 Enjoy the most delicious dinner tonight with this Gluten Free Chicken Pad Thai. This post is sponsored by Great Day Farms, all thoughts and opinions are my own. Have you ever truly just fallen in love with a meal? The first time I had Pad Thai that’s exactly how I felt. It was literally love at first bite. I was also anxious to make my own too. The one thing I truly enjoy about Pad Thai is that it’s a light dish, it’s not heavy on the sauce, it’s a nice coating with a buttery undertone too. 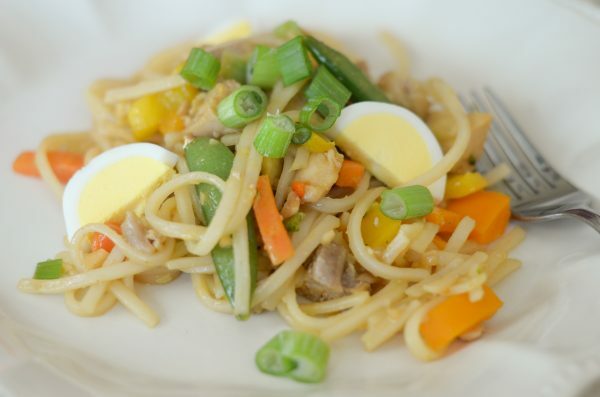 Gluten Free Chicken Pad Thai has quickly found its way onto our weekly menu. 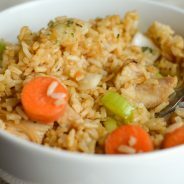 What’s a great topping for Gluten Free chicken Pad Thai? 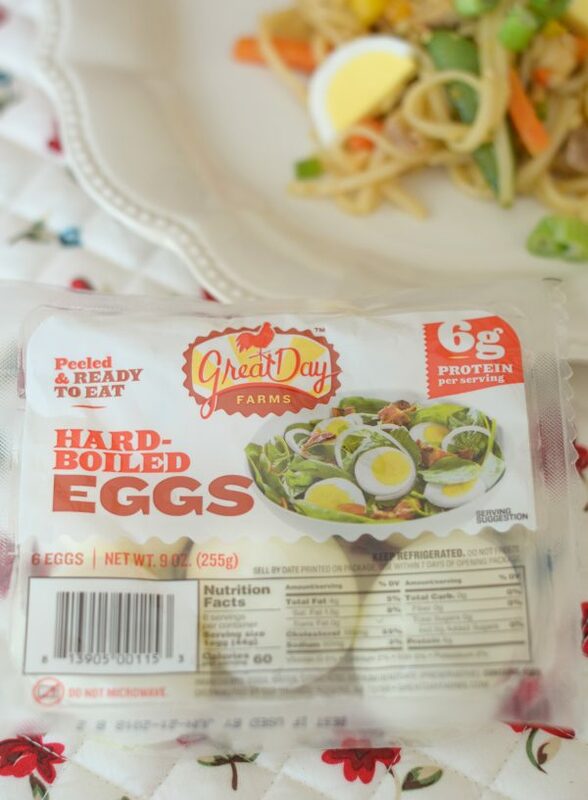 Great Day Farms Hard-Boiled Eggs. These eggs are available at Walmart in the deli section, I actually add them to my grocery pick up order nearly every single week. They are not only great for dinners but also for a boost of protein during the day. I have one alongside my lunch or topped on a salad. Of course, we have to watch our daughter carefully…that girl LOVES eggs. She can easily go overboard on eggs, super quick, especially hard boiled. I have never seen a child love eggs so much like she does. This Gluten Free Pad Thai is super easy to make gluten free too with rice noodles. 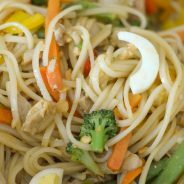 What do you need for Gluten Free Pad Thai? Most of the ingredients may already be in your pantry, and then simply add in the veggies that you prefer and you are all set. I decided to mix some freshly chopped veggies with a bag of frozen stir fry vegetables. 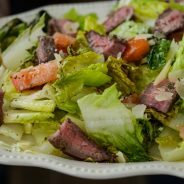 I loved the addition of vegetables, plus it really added to the flavor and color of the dish too. 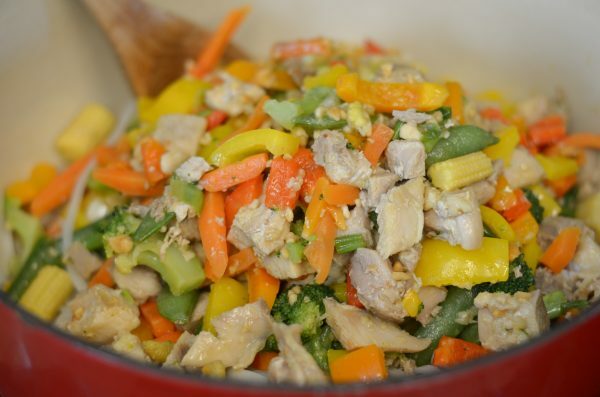 A quick tip is to use leftover chicken. This dish works best with chicken thighs. 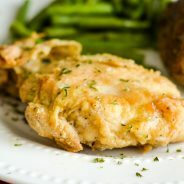 If you are having chicken thighs earlier in the week, save about 2 cups of cubed chicken. 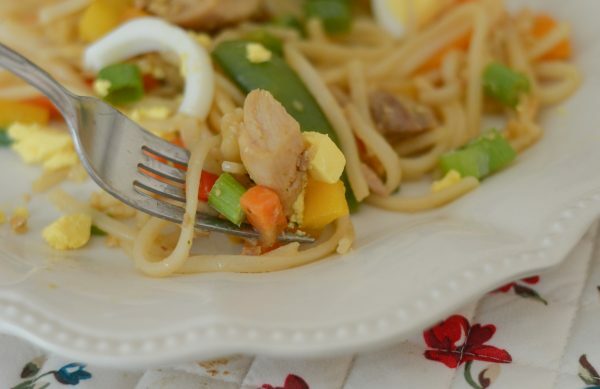 This will make this dish super quick and easy to make on a busy weeknight. Another tip is that you can substitute soy sauce for fish sauce if you need to. I’ve done this plenty of times and no one can tell a difference, not even me! 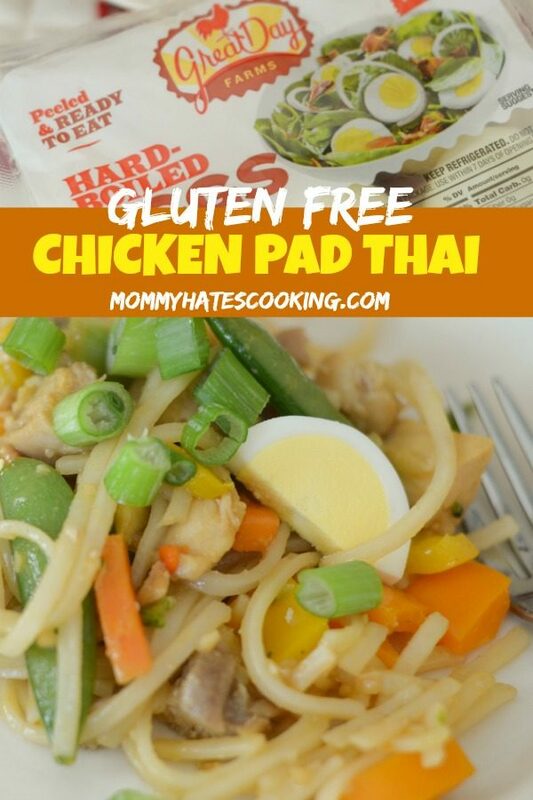 As we head into a busy week or weekend, I highly suggest adding this Gluten Free Chicken Pad Thai to your menu. Remember, if you don’t need gluten free, that’s not a big deal either because you can just use regular rice noodles and soy sauce without any issue. Now it’s time to enjoy this Gluten Free Chicken Pad Thai! 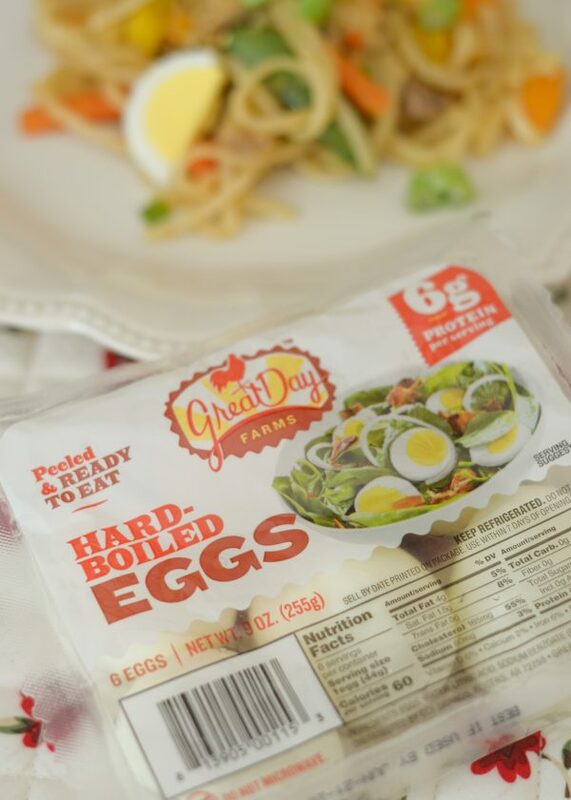 Remember to head to Walmart and grab your Great Day Farms Hard-Boiled Eggs to complete this meal! Begin by preparing the noodles as instructed on the package. 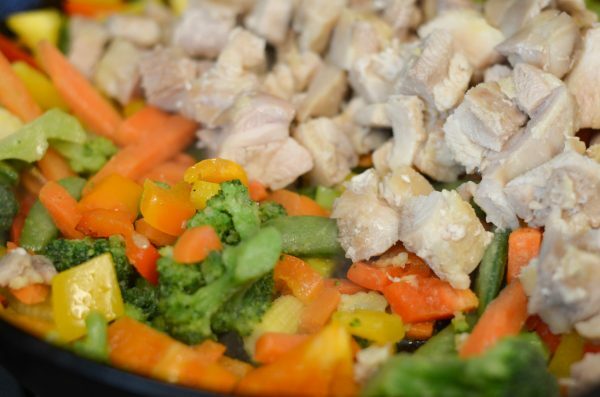 While the noodles are cooking, add olive oil to a large skillet, wok, or dutch oven and warm up to medium-high heat. Add the chicken, carrots, peppers, vegetables, and garlic. Saute for about 10 minutes or until veggies are soft. 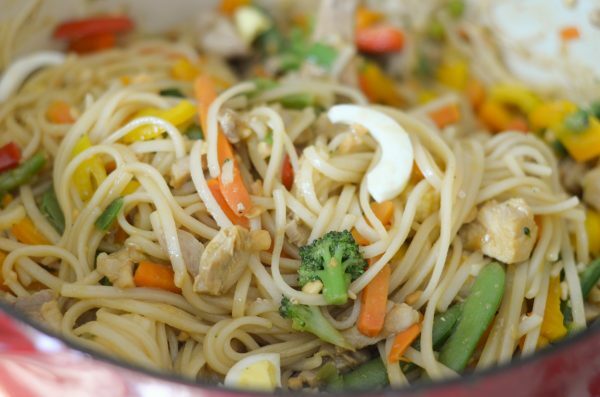 Drain and rinse the noodles, then add those to the skillet, wok, or dutch oven. In a small mixing bowl, whisk together the brown sugar, soy sauce, and fish sauce. Pour the mixture over the noodles and veggies. Top with the crushed peanuts, eggs, and green onion.